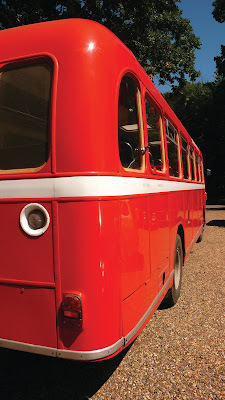 As promised, here are photographs of the bus that ferried passengers from the nearby station on the Mid Norfolk Railway to the Hardingham Village Fete. 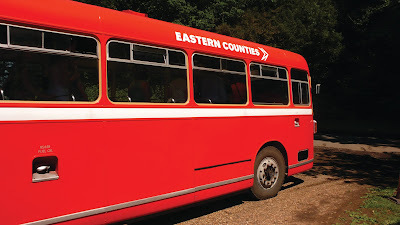 Although painted-up quite correctly in the 1970s National Bus Company livery (slogan: 'Together we can really go places'), on its arrival in Norfolk in 1967 this Bristol bus would most likely have been signed in the original gold 'Eastern Counties' logotype on the side panels. I await cries of anguish from bus savants. But we just loved this. As fete openers we were allowed to go on it back and forth, so for a while we had it to ourselves. Well, apart from the conductor. And driver. 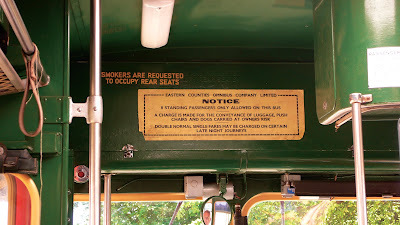 "What's 'Stubber' mean dad" Youngest Boy asked, running his fingers over the raised surface of one of the little metal plates attached to the rear of every green upholstered seat. "It's where you were allowed to stub your cigarette out" I replied, and he just looked at me in sheer disbelief. What joy, the two of us sitting in different parts of the bus, me with my father's Panama on, he with mine. "Oh no, look!" he shouted, "That's all we need". And coming towards us on the empty green Norfolk lane was an open-topped Morris Minor. I buried my head in my hands, half expecting Hattie Jacques to get on when I looked up again. 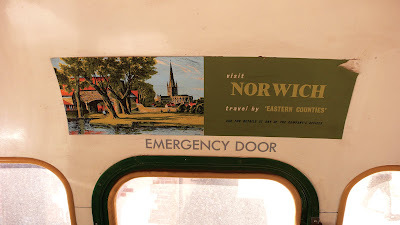 Last weekend the Youngest Boy and I were in Mid Norfolk at the tiny village of Hardingham. 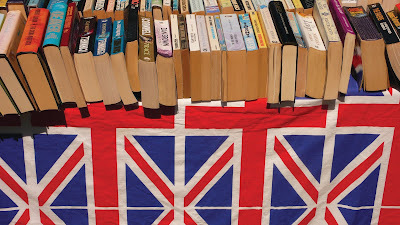 I'd very kindly been asked to open their very Unmitigatedly English Fete, so I prepared a wandering speech all about rural pleasures and was going to recite from Philip Larkin's Show Saturday after apologising for it being a Sunday. A silver prize band tuned-up, bunting and chocolate cakes were adjusted and I went behind a marquee to limber up with throat spray and a hip flask. My kind host then told me that I didn't need to say much more than a couple of sentences because nobody would listen anyway. My ego suitably deflated I was going to give the mike to Youngest Boy, who'd brought a pair of kitchen scissors in his pocket because he'd thought there would be a ribbon to cut. So we kept it short and sweet and then got on with feteing. A red 1967 Eastern Counties Bristol single decker (of which more later) brought folk to the village from special steam trains that were stopping at Hardingham station. Crowds gathered around well-thumbed Dan Browns on the bookstall, rats were splatted in drainpipes, rides were taken behind a small scale steam traction engine. A kindly fireman told us how they cut crash victims from wreckage with massive bolt cutters and a Norfolk copper kept staring at me and talking sotto voce into his walkie-talkie. 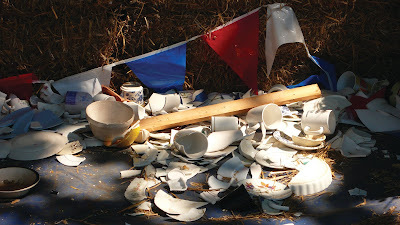 We thought the best thing was throwing three balls at shelves of crockery for 50p. 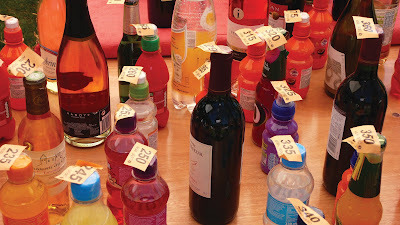 Which suited us well enough, particularly Youngest Boy who was itching to do something similar to the Tombola table. Thankyou Hardingham for such a pleasurable afternoon in the heart of Unmitigated Norfolk.